The Company will be mailing training material to every one's house. All represented employees on the property will be receiving it as well. Please take the time to review it and fill out the required paperwork. Everyone who complies will receive 8 hours at the straight time rate of pay. If you have any questions, please direct them to your Union Representative. We are moving forward regarding Family Medical Leave Act issues. We believe that the Carrier is failing to comply with the statute in several areas. We recognize that there is abuse and understand the Carrier's concerns, but they need to utilize the mechanisms within the law that protect the employer as opposed to circumventing employee protections. Grievances have been filed and we are currently arguing a discipline case in the M of E Trial Office. There has been an increase in head injuries in the Engineering Department. Recently a meeting was held with the Department in an attempt to resolve the issue. The meeting was extremely productive. Please remember to wear all necessary personal protective equipment. Contracting out issues continue to be at the forefront in the Engineering Department. Meetings are scheduled in December regarding even more new projects as the size of the system continues to grow exponentially. West Side Shop appears to be behind schedule for its completion originally planned for February of 2016. Even if the building was complete, the track necessary to get trains in and out of the facility would not be. Also Bombardier Inc. will be leasing the Arch Street Facility utilizing it to install Positive Train Control (PTC) for Metro North's fleet. The M of E Department will be adding a department in Hillside specifically geared towards the installation of PTC. This also is behind schedule. We will notify everyone once we have the details. The M of E Department continues to hire electricians in record numbers despite the lack of budgeted jobs. The lack of jobs is a direct result of delays with West Side and PTC. We are concerned of the possible implications and will continue to monitor the situation. If you are one, or know any open electricians being moved onto a new job in between bid sheets, please notify the office immediately. 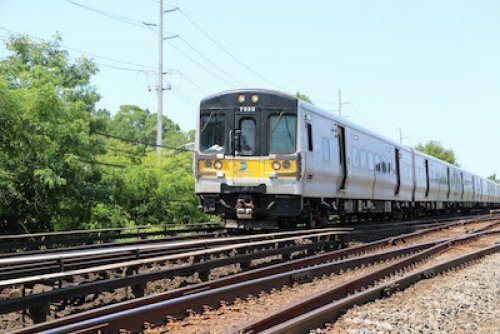 For the first time all LIRR members will have the day after Thanksgiving Day off. I hope all of you enjoy it. I know I will.